San Francisco — Gallery Wendi Norris presents Leonora Carrington: The Celtic Surrealist, a traveling subset of works from the critically acclaimed 2013 exhibition at the Irish Museum of Modern Art (IMMA) in Dublin. 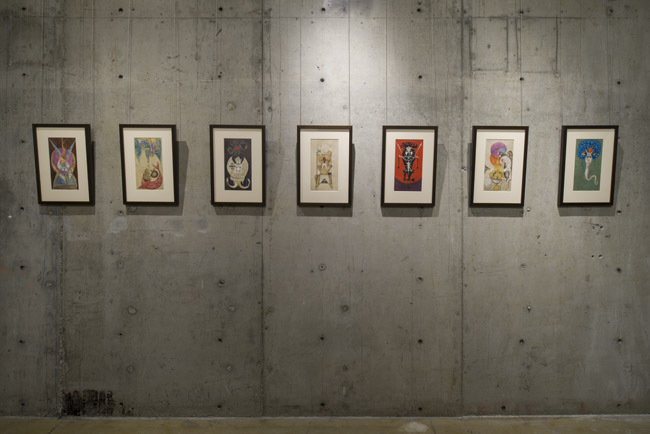 In the gallery’s second solo show for Carrington (English, 1917-2011), and the first since Carrington’s death in 2011, The Celtic Surrealist comprises paintings, gouaches, and rarely exhibited tapestries from 1948-1974. Carrington’s otherworldly narrative paintings comprised of hybrid creatures, twisted mythological narratives, and politically charged and humorous fairytales are further understood by revisiting her Irish ancestry as well as referencing the epic tales told to her by her Irish grandmother and mother. Carrington’s upper-class English upbringing mixed with her inherent unorthodox and mischievous nature fueled the visual vocabulary of much of her work. Her singular vision may be even better explained through the multicultural references inherent in the work. 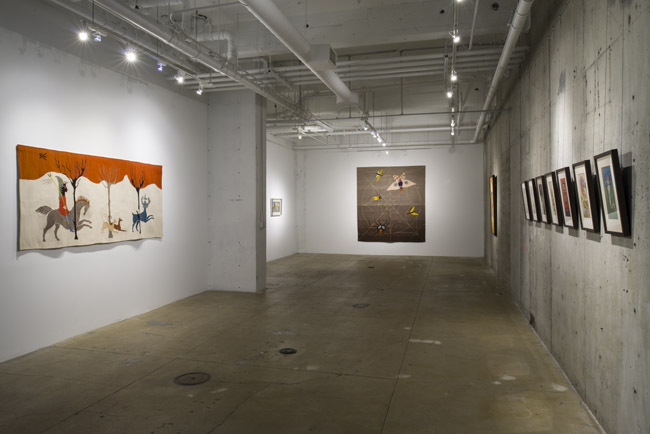 Themes such as metamorphosis and transformation prevail throughout the artworks in the exhibition. For example, a seven-piece gouache series, exhibited at the Solomon R. Guggenheim Museum’s seminal exhibition, Two Private Eyes (1999), depicts humans transforming into fish, scorpions, and assorted mythological gods and creatures. Sanctuary for Furies, a substantial painting from a later period, portrays a periodic table of sorts that revisits many of the iconic figures from her lexicon. The gallery will offer a limited supply of the beautifully illustrated 175-page book from IMMA’s exhibition. The publication includes essays by Sean Kissane, Chief Curator of IMMA; Teresa Arcq, curator of Los Angeles County Museum of Art’s In Wonderland (2012); Carrington scholar, Giulia Ingariao; renowned Surrealist scholar, Dawn Ades; and an interview between Carrington and art historian and curator, Hans-Ulrich Obrist. On Saturday, April 5 at 2pm, Gallery Wendi Norris will also host Sean Kissane in conversation with author Rebecca Solnit and San Francisco based artist, Ana Teresa Fernández to discuss Carrington’s imaginative world and her influence on important artists working today.